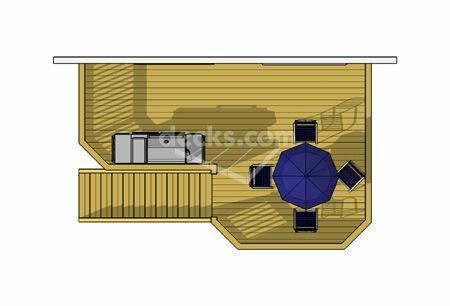 This is a very popular deck design. 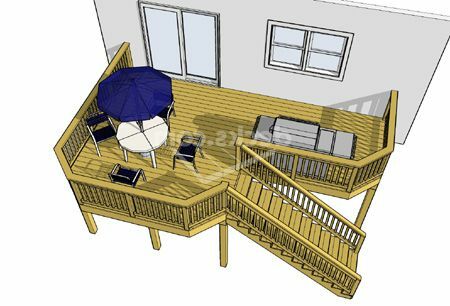 It features a compact plan with a 12' x 14' primary area perfect for entertaining as well as a 10' x 8' secondary area for grilling. 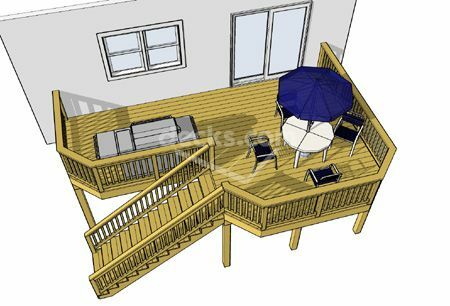 Materials Breakdown A list of materials broken down by deck section specific to this plan. Materials Order List A list of materials for ordering specific to this plan. Plan Specs A list of specs specific to this plan.